Architecturally designed by Robeson Architects and built by BE Projects (WA) Pty Ltd, this double-storey, four bedroom home makes the most of its 424m² block. 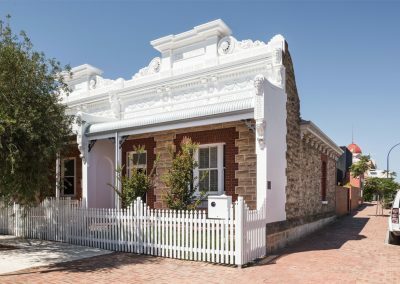 Constructed with low-maintenance materials, the home is perfectly suited to the lifestyle of a young, inner-city family. 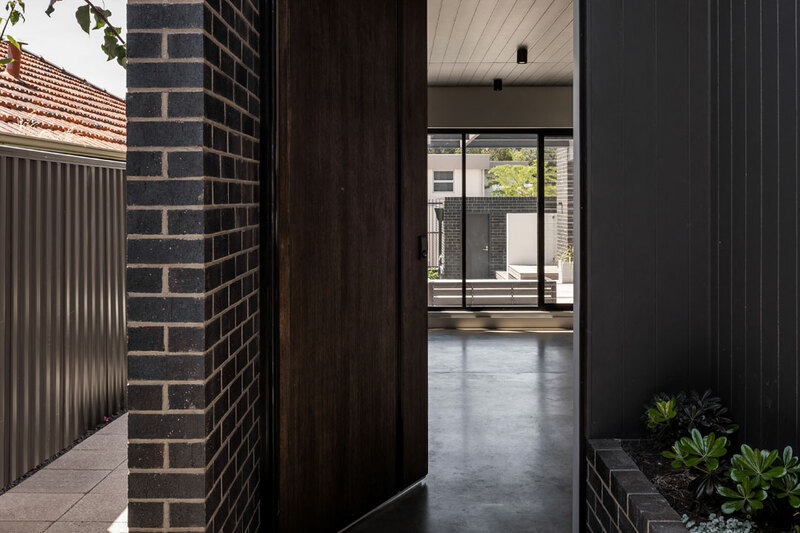 Showcasing a striking contemporary façade – complete with fibre-cement cladding and large geometric statement windows – the property has significant street presence. 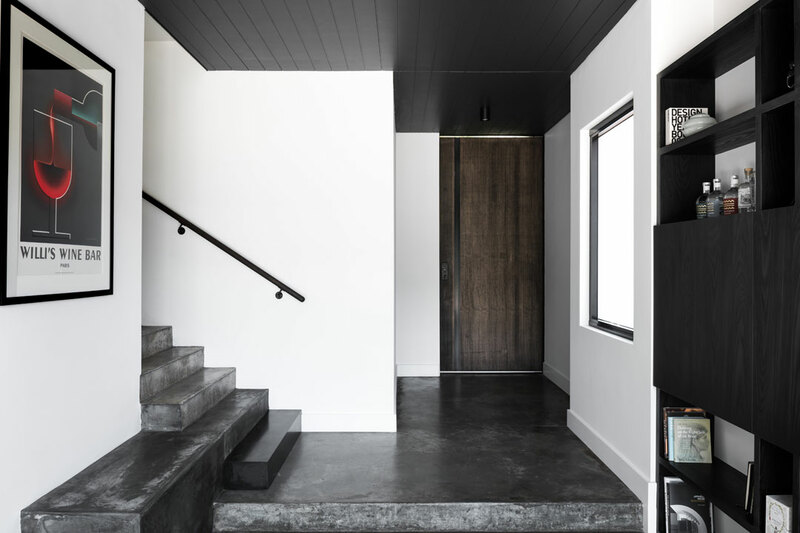 The home opens with a grand pivot door, and features a modern, industrial-inspired interior. Complete with LED downlights, aluminium louvre windows and burnished-concrete flooring that’s finished with KUNOS Natural Oil Sealer from Livos Australia, the indoor atmosphere is simultaneously modern and welcoming. 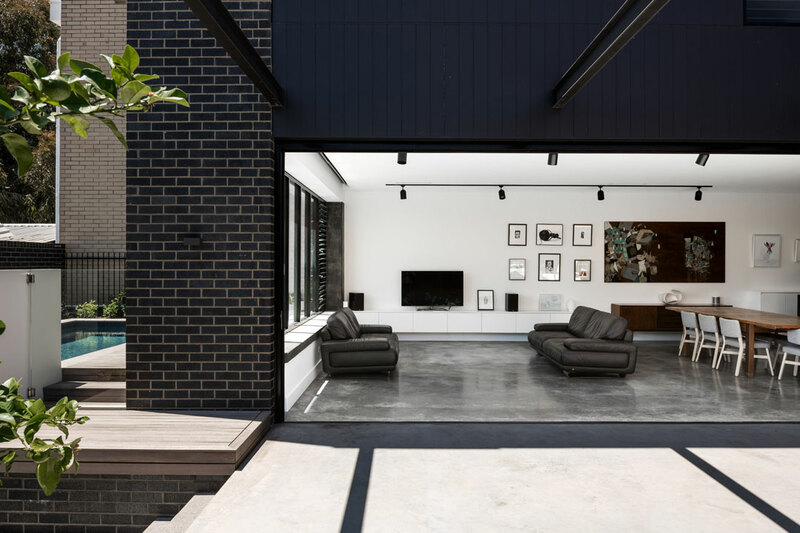 Custom-made joinery and built-in furniture feature throughout the home, which maximises the amount of functional living space for the homeowners and their family. 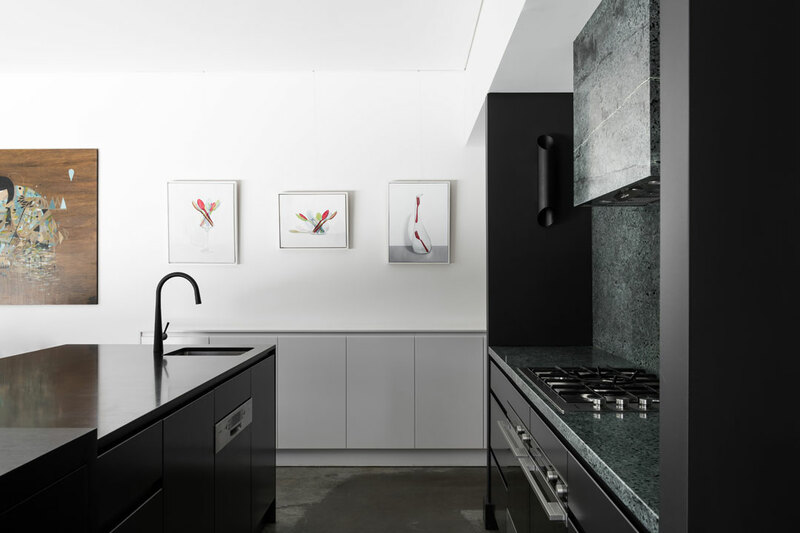 Showcasing matte-black tapware and an all-charcoal colour palette, the opulent open-plan kitchen is highly practical. 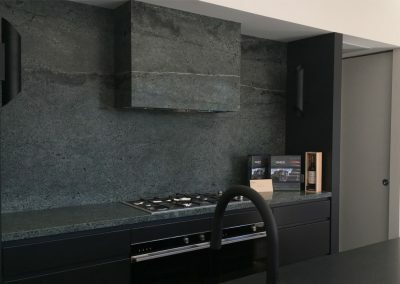 Lustrous Signorino granite benchtops in ‘Nero Zimbabwe’ provide plenty of preparation space, while the adjoining scullery ensures any mess is conveniently hidden from view. The main bathroom is an indulgent space that’s reminiscent of a high-end hotel. Floating glass mirrors with arrised edges are installed above the double vanity unit, which is crafted from the same granite that’s featured in the kitchen. The luxurious walk-in shower includes frameless-glass screens, while VELUX skylights create a well-ventilated and healthy environment. An eye-catching staircase connects the home’s two levels, and features a glass balustrade and handrails that are crafted from Tasmanian oak. Large bi-fold glass doors provide access to the beautifully landscaped outdoor area. With carefully selected native plants, spotted-gum timber decking and high fences, the outdoor space is ideal for casual entertaining or alfresco dining. The deck overlooks a sumptuous in-ground swimming pool, which is protected by child-proof, frameless-glass fencing. A number of eco-friendly inclusions give the home an enviable six-star rating for energy efficiency. 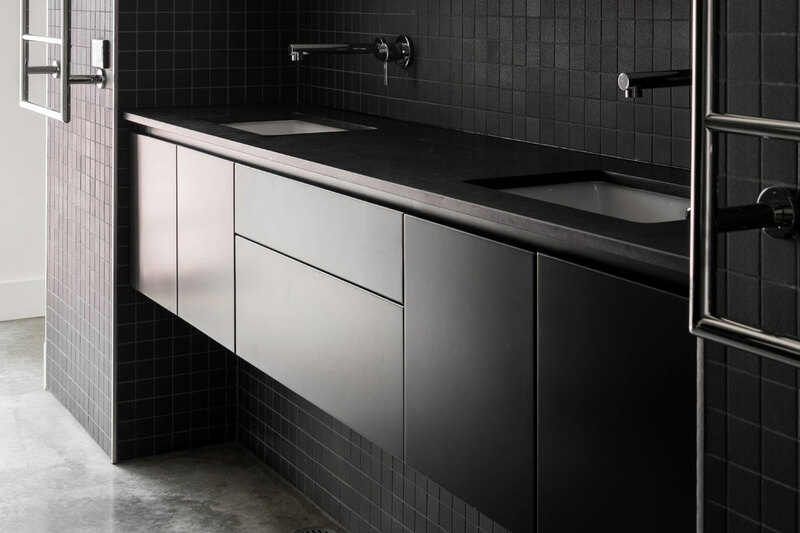 The design affords plenty of cross-flow ventilation, which reduces the need for expensive cooling. 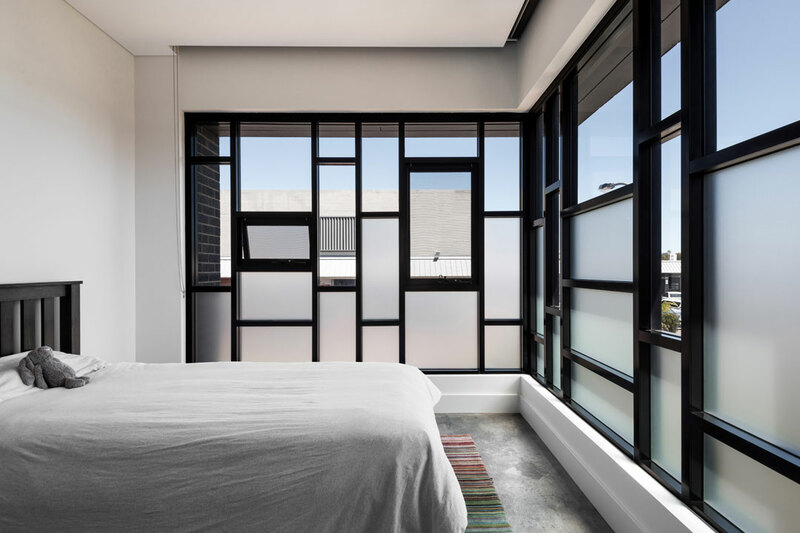 Low-emissivity glass windows and doors help to minimise the property’s carbon footprint. The home also includes two powder rooms, a home office, a spacious garage and an attic. 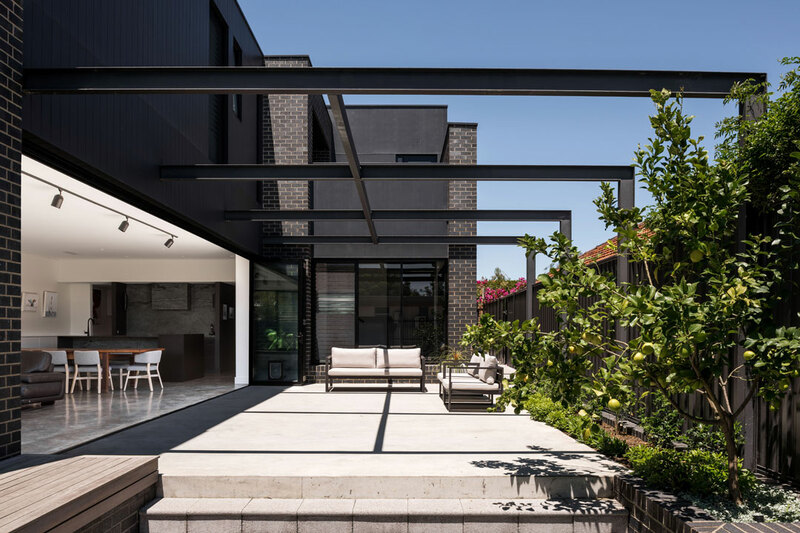 Established in 2010, BE Projects (WA) Pty Ltd has more than 50 years of experience in the construction industry. Developed by the founding directors Troy King and Dennis Beard as an extension of their passion for construction, the company provides full project management and construction services for any building project, from initial concept advice, through to construction. BE Projects’ (WA) Pty Ltd vision is to provide every client with a unique and well-qualified service that delivers the project on time, within budget, and with exceptional quality and safety. 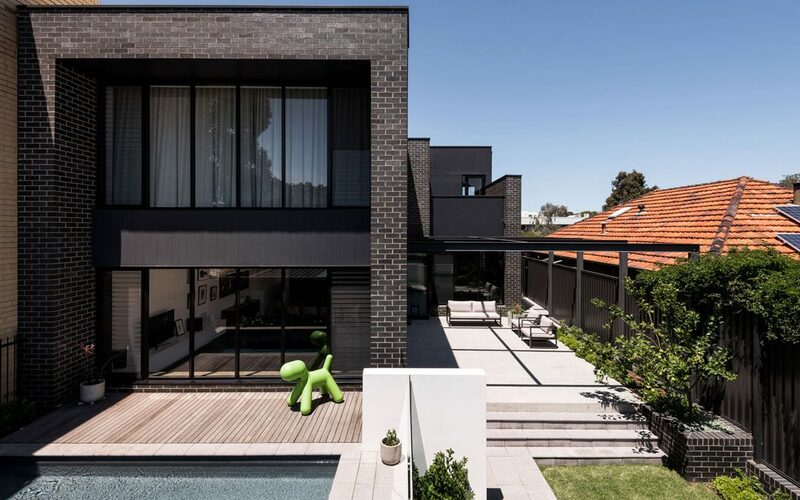 Specialising in architecturally designed homes and apartment blocks in the $500,000–$4 million range, as well as renovations from $500,000, BE Projects (WA) Pty Ltd enjoys the challenge of building unique projects in the Perth metropolitan area. The team works in close consultation with the architect and client to develop the best building practices for each project.